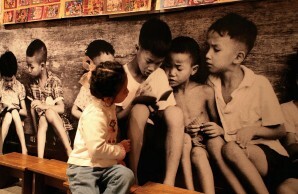 A life-size print of a 1960s black and white photo of children sharing books on a street corner hangs on a wall behind a row of old stools, where children in 2006 came and sat during “Hong Kong’s Popular Entertainment“ exhibition at the Hong Kong Heritage Museum. Copyright © 2017 by Mario Livio. From the forthcoming book WHY? : What Makes Us Curious by Mario Livio to be published by Simon & Schuster, Inc. Printed by permission. Curiosity’s powers extend above and beyond its perceived potential contributions to usefulness or benefits. It has shown itself to be an unstoppable drive. The efforts humans have invested, for instance, in exploring and attempting to decipher the world around them, have always far exceeded those needed for mere survival. It seems that we are an endlessly curious species, some of us even compulsively so. University of Southern California neuroscientist Irving Biederman says human beings are designed to be “infovores,” creatures that devour information. Since the early 1990s, neuroscientists have had a powerful tool in their research arsenal that literally enables them to image curiosity in action in the brain. 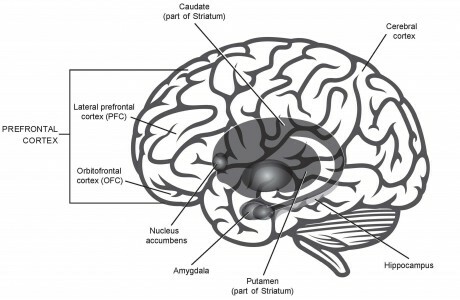 Functional magnetic resonance imaging (fMRI) allows researchers to examine which regions of the brain are activated during particular mental processes. The technique relies on the fact that when a certain area of the brain is used intensively, the energy required for the neural activity results in an increase in the blood flow into that region. The working brain can therefore be mapped in detail by taking snapshots of the changes in the blood flow, using the blood-oxygen-level-dependent (BOLD) contrast—the fact that oxygenated blood has different magnetic properties from deoxygenated blood and that the relative difference can be imaged. When combined with supplementary cognitive research, fMRI offers a new dimension to the studies of curiosity. A few neuroscientific experiments have been particularly innovative and influential in advancing our understanding of the neurophysiological underpinnings of curiosity. In a seminal investigation in 2009, Caltech researchers Min Jeong Kang, Colin Camerer, and their colleagues used fMRI with the goal of identifying the neural pathways of curiosity. The scientists performed a test in which they scanned the brains of nineteen people with fMRI while they were presented with forty trivia questions. The questions were selected to create a diverse mixture of high and low specificepistemic curiosity, that is, interest in specific knowledge. The participants were asked to sequentially read a question, guess the answer (if they didn’t know it), rate their curiosity to find out the correct answer, and indicate how confident they were in their guess. In the second stage, each subject saw the question presented again, immediately followed by the correct answer. The reported curiosity was found to be an inverted-U-shaped function of the uncertainty. The fMRI images showed that in response to self-reported high curiosity, the brain regions that were significantly activated included the left caudate and the lateral prefrontal cortex (PFC)—areas that are known to be energized on anticipation of rewarding stimuli. This anticipation is the type of feeling you have before the curtain goes up on a play you have wanted to see for a long time. The left caudate had also been shown to be activated during acts of charitable donation and in reaction to punishment of unfair behavior, both of which are perceived as rewarding. Kang and her colleagues’ findings were consistent with the idea that epistemic curiosity elicits anticipation of a reward state—that the acquisition of knowledge and information has value in our minds. Somewhat surprisingly, though, the brain structure known as the nucleus accumbens, which is thought to play a central role in the reward and pleasure circuits (and is one of the most reliably activated regions in reward anticipation), was not activated in the experiment. The researchers also found that when the correct answer was revealed to the subjects, the regions of the brain that were significantly energized were those typically associated with learning, memory, and language comprehension and production (such as the inferior frontal gyrus). 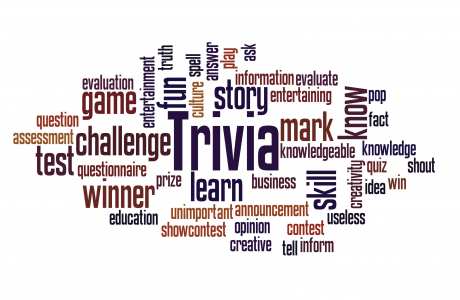 Notably, activations were found to be more powerful when the participants were shown the answers to questions for which they had previously guessed incorrectly than following correct guesses. The subjects also exhibited enhanced memory of correct answers when they had initially been wrong. A subsequent behavioral study showed that a higher curiosity in the first session correlated with better recall of surprising answers even ten days later. This result could perhaps be expected, since the information is considered more valuable and the potential for learning is greater when a mistake is being corrected (concerning topics you are curious about). On the other hand, the fact that the presentation of the correct answer did not significantly activate other brain regions that are traditionally known to respond to the receipt of reward was somewhat puzzling. In response to self-reported high curiosity, fMRI images showed the brain regions that were significantly activated included the left caudate and the lateral prefrontal cortex (PFC)—areas that are known to be energized on anticipation of rewarding stimuli. We should remember that there is one uncertainty that almost inevitably plagues all neuroimaging studies. While fMRI can map the regions of the brain that are active when at least some form of epistemic curiosity is induced, those very same regions (such as the left caudate and the PFC) are also activated in a variety of other brain functions. Consequently, the inferred connection between curiosity and reward anticipation would have been rather tenuous were it not for the supporting evidence that comes from cognitive psychology. To further solidify their findings, Kang and her collaborators performed an additional test, crafted to enable a distinction between true reward anticipation and the simple function of increased attention (which in previous experiments had also been found to activate the left caudate). The new experiment had two components. In one, the researchers allowed the subjects to spend at any time one of twentyfive tokens to find the correct answer to one of fifty questions (ten questions were added to the original forty). Since the number of tokens equaled only half of the number of questions, the implication was that by spending a token on a particular answer, subjects were opting to give up on another. In a second condition of the experiment, subjects could decide to wait between five and twenty-five seconds for the answer to appear, or they could quit waiting and skip to the next question, thereby missing out on the correct answer to the preceding question. Both actions (spending a token or waiting for an answer) came at a certain cost, either of resources or of time. The results showed that spending tokens or time was strongly correlated with the expressed curiosity. This outcome considerably strengthened the interpretation of curiosity as an anticipation for reward, since people are generally more inclined to invest (either time or money) in items or actions they expect to be rewarding. As groundbreaking as Kang and her collaborators’ work was, however, it left many questions unanswered. The study explored only one kind of curiosity—specific-epistemic. Does the brain respond similarly to the stimulus of novelty, surprise, or the simple desire to avoid boredom? Does the response depend on the form of the stimulus? For example, are the processes in the brain the same when we become curious by examining an image rather than by reading a text? A study published in 2012 attempted to address a few of these intriguing questions. Four different combinations of blurry and clear images were used to test perceptual curiosity. Scanning people’s brains while they are being curious certainly provides for an exciting experiment. But how exactly do you ask someone to be curious? Even requesting that the participants rate their curiosity (say, on a 1–5 scale) is sure to introduce a certain amount of subjective ambiguity. Cognitive scientist Marieke Jepma of Leiden University in the Netherlands and her team used a different method from that of Kang and colleagues. They decided to focus on perceptual curiosity—the mechanism aroused by novel, surprising, or ambiguous objects or phenomena, the type that are open to many interpretations. Using fMRI, the researchers scanned the brains of nineteen participants who were shown blurred pictures of various common objects, such as a bus or an accordion, which were difficult to identify because of the blurring. To manipulate the triggering and relief of perceptual curiosity, Jepma and her colleagues cleverly used four different combinations of blurry and clear pictures: a blurred picture followed by its corresponding clear picture; a blurred picture followed by a totally unrelated clear picture; a clear picture followed by its corresponding blurred picture; and a clear picture followed by an identical clear picture. The subjects, therefore, never knew what to expect or whether their curiosity about the identity of the object would be relieved. Jepma’s study was one of the very first experiments that attempted to demonstrate the neural correlates of perceptual curiosity. First, Jepma and her collaborators discovered that perceptual curiosity activated brain regions that are known to be sensitive to unpleasant conditions (though not exclusively to those). This was consistent with expectations from the information-gap theory—perceptual curiosity appeared to produce a negative feeling of need and deprivation, something akin to thirst. 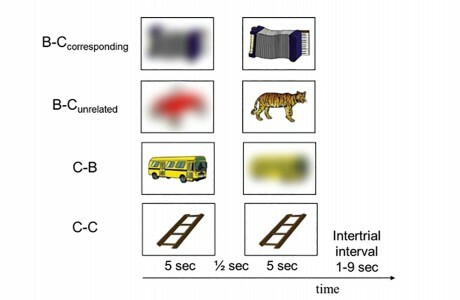 Second, the researchers observed that the relief of perceptual curiosity activated known reward circuits. These findings were again consistent with the idea that the termination of the distressed state that typifies perceptual curiosity—by providing the desired information—or at least the reduction in its intensity, is perceived by the mind as rewarding. Simplistically put, being perceptually curious is a bit like being deprived, conflicted, or hungry. The differences, rather than similarities, between Jepma’s results and those of Kang and her colleagues were particularly thought provoking. Jepma’s discoveries were generally consistent with (although not a proof of) curiosity being fundamentally a disagreeable state, while the Kang findings were consistent with (but again, not a proof of) curiosity being primarily a pleasurable condition. How can we reconcile these seemingly discrepant conclusions? First, as I have already noted, Jepma’s study was expressly designed to investigate perceptual curiosity—the curiosity stimulated by ambiguous, odd, or perplexing stimuli. Even more precisely, the curiosity mechanism evoked by blurred images can be characterized as specific-perceptual, since the participating subjects were curious to know what particular fuzzy pictures represented. On the other hand, by examining the curiosity triggered by trivia questions, Kang and her collaborators’ study primarily explored the substrates of specific-epistemic curiosity—the intellectual desire for specific knowledge. On the face of it, therefore, the two studies seem to imply that different facets or mechanisms of curiosity may involve (at least partially) separate regions of the brain and may manifest themselves as distinct psychological states. This does not necessarily mean that different varieties of curiosity employ entirely separate sections of the brain. It could be that different types of curiosity involve some common brain core (such as the regions responsible for the feeling of anticipation) but may also activate somewhat separate circuits and chemicals, even though all of the brain operations have a certain degree of functional connectivity. Another interesting result came out of both neuroimaging studies. The cognitive investigations implied that the mind produces rewards that assign value to the gathering of information. Over and above that, the fMRI experiments have raised an entire set of new, deeper questions: How exactly does curiosity influence memory? Does working memory capacity influence curiosity? Is the value of the accumulation of information to the reward system the same as that of other valued goods (such as a piece of chocolate, a glass of water, or a drug)? 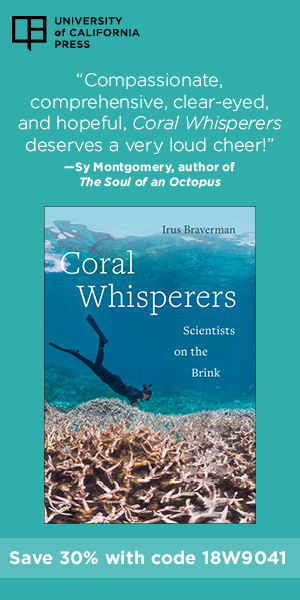 Is the curiosity that drives volitional, active exploration the same as the curiosity that is artificially induced and passively reduced in the neuroscientific experiments? In some sense, we didn’t really need the neuroimaging studies to discover that people learn a subject more effectively when they are curious about it than when they are bored stiff. But does curiosity also affect what we remember? And if so, through which mechanism? These were the questions that neuroscientists Matthias Gruber, Bernard Gelman, and Charan Ranganath of the University of California, Davis set out to answer. In a 2009 experiment at Caltech, scientists scanned the brains of nineteen people with fMRI while the subjects were presented with forty trivia questions on various topics, selected so as to create a diverse mixture of high and low interest in specific knowledge. The researchers started on a path similar to that of Kang and her team, by asking students to work their way through a series of trivia questions. The participants were then instructed to rate their confidence in their answers and to indicate their level of curiosity to find out the correct answer for each question. This was, however, where the Gruber study introduced a new twist. The initial process allowed Gruber and his colleagues to create a custommade list of questions for each student, a list that left out all the questions to which the student already knew the answers. Every one of these lists was composed of questions about which the student had expressed a wide range of intensity of curiosity, from “dying” to know the answer to not caring the least bit. The researchers then used fMRI to scan the brain of each student while his or her personalized list of questions appeared in sequence on a screen. Following each question there was a quiescent anticipation interval of fourteen seconds, during which a random face flashed on the screen for two seconds. Then the answer to the question appeared, and the process was repeated. After the brain scan session, the subjects were asked to take a surprise memory test for the faces they had been shown during the waiting period, as well as a memory test for the answers to the trivia questions. In terms of the brain regions that were activated during the expectation for interesting information, Gruber and his collaborators’ results were generally consistent with those of Kang and her colleagues. The Gruber study did, however, provide fascinating new clues connecting curiosity to reward and memory. First, by comparing the brain activity between the set of trials in which the subjects were extremely curious to know the answer and that in which they were not, the researchers discovered that the activation precisely followed the pathways in the brain that transmit dopamine signals. Dopamine—the chemical released in the brain by nerve cells to send signals to other nerve cells—plays an important role in the brain’s reward system. Gruber and his colleagues’ results confirmed that epistemic curiosity taps into the reward circuitry. Second, as could be expected, the study revealed that when people’s curiosity was piqued, they learned more readily. They also retained the information better twenty-four hours later. More surprising, however, the study showed that the subjects were even better at recognizing the random faces that flashed up on the screen. The implication was that even the learning of incidental information was improved in highcuriosity conditions. A third finding was equally interesting. Not only was the learning process associated with increased activity in the region that plays a crucial role in the formation of new memories, the hippocampus, but the strength of the interaction between the hippocampus and the reward circuit was also boosted. It was as if curiosity actively recruited the reward system to assist the hippocampus in absorbing and retaining information. Experiments by psychologists Brian Anderson and the late Steven Yantis of Johns Hopkins University added yet another dimension to this picture. They showed that the relation between curiosity and the reward system acted in the opposite direction as well. That is, stimuli that had been previously associated with rewards generated curiosity and captured attention more than half a year later, even when the original information had been presented as irrelevant distractors. It appears that stimuli that are initially followed by the delivery of rewards generate persisting attentional biases and induce curiosity, even without continued reinforcement. The interaction between curiosity and the reward system is a two-way street, with each side assisting the other. Finally, Gruber’s results seem to suggest that even though curiosity reflects an intrinsic motivation, it may still be mediated by mechanisms and brain circuits similar to those that make people yearn for, say, ice cream, nicotine, or winning in poker games. Does this mean, however, that curiosity and the information it seeks only modulate somewhat the value the brain assigns to primary rewards, such as water or food? Or do information and its acquisition have their own independent value somewhere in the brain? To investigate this question, neuroscientists Tommy Blanchard and Ben Hayden, of the University of Rochester, and Ethan Bromberg-Martin, of Columbia University, recently used the fact that advance information about future events helps in decision making to test competing hypotheses about where the brain evaluates potential rewards. They concentrated on an area in the frontal lobes of the brain of monkeys that is known to be involved in the cognitive process of decision making. Specifically, they recorded the activity of neurons in a region known as area 13 of the orbitofrontal cortex (OFC). The OFC plays a central part in signaling information about reward. The researchers were attempting to clarify the following point. Whereas there is no doubt that the values assigned by the brain to information and to primary reward (such as food or drugs) are eventually integrated into a single quantity, which in turn is used to guide a particular behavior, it is not known what exactly happens before the two values are combined to create one aggregate. The researchers’ goal was, therefore, to distinguish between two potential alternatives concerning the role of the OFC in this type of decision making. The first possibility was that the OFC represents a stage at which components, such as information and primary reward data, are kept separate, only to be combined later in some downstream area. Alternatively, the OFC could be precisely the location where information and primary reward factors are already fused together to generate the single value that eventually guides decisions. In their study, Blanchard and his colleagues recorded the activity of OFC neurons in the brains of monkeys who could choose between gambles that differed in two ways: the amount of water associated with winning the gamble (a primary reward) and the informativeness—whether a cue revealed the gamble’s outcome before its delivery. Two results were particularly important. First, monkeys regularly sacrificed water to gain advance information. 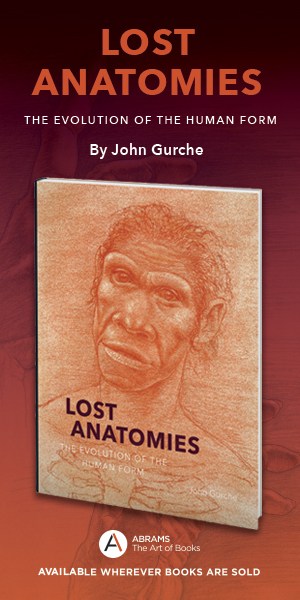 This is reminiscent of Jepma’s tentative finding that people were prepared even to endure pain to satisfy their curiosity. Second, the OFC was found to encode the information value and the primary reward value independently rather than to integrate them into a single variable. Blanchard, Hayden, and Bromberg-Martin speculated that “just as the OFC regulates seeking of appetitive reward in response to internal states, such as hunger and thirst, the OFC may regulate information seeking in response to such internal states as uncertainty and curiosity.” The OFC appears to serve as a gateway to the rest of the reward system, and it generates inputs that are later used in the consolidated evaluation process, but it does not act as the final evaluator. Curiosity seems to be quantified separately from the other elements that the OFC appraises.